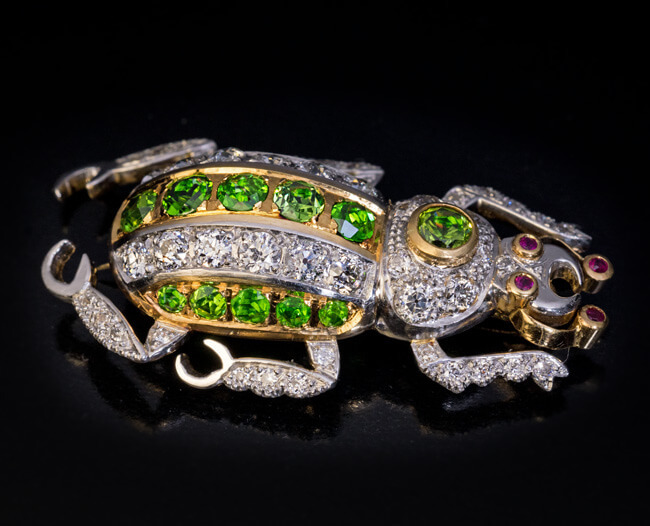 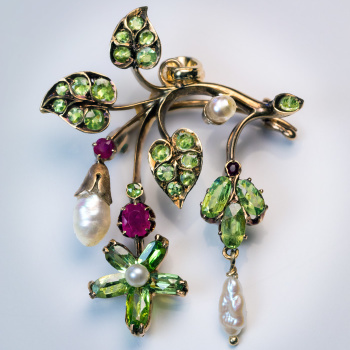 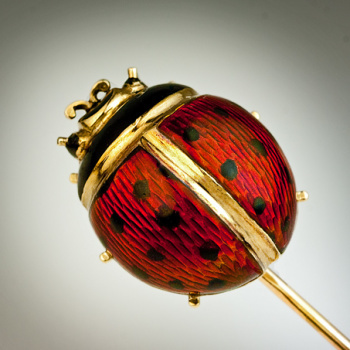 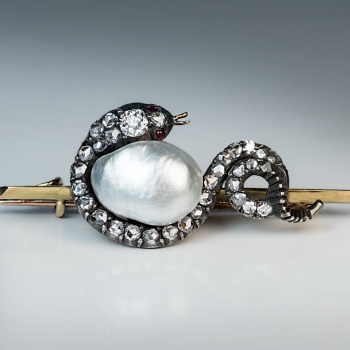 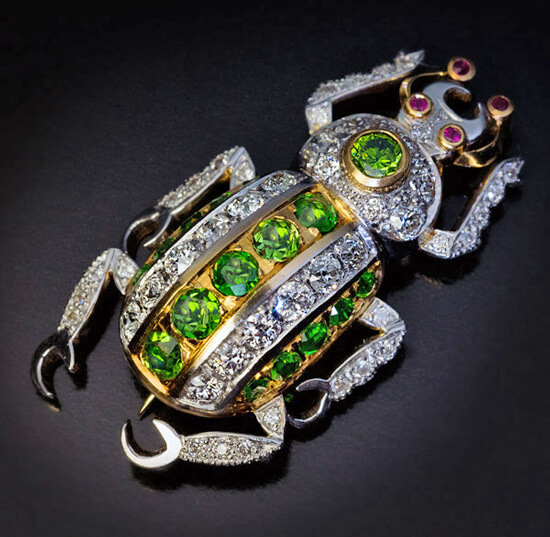 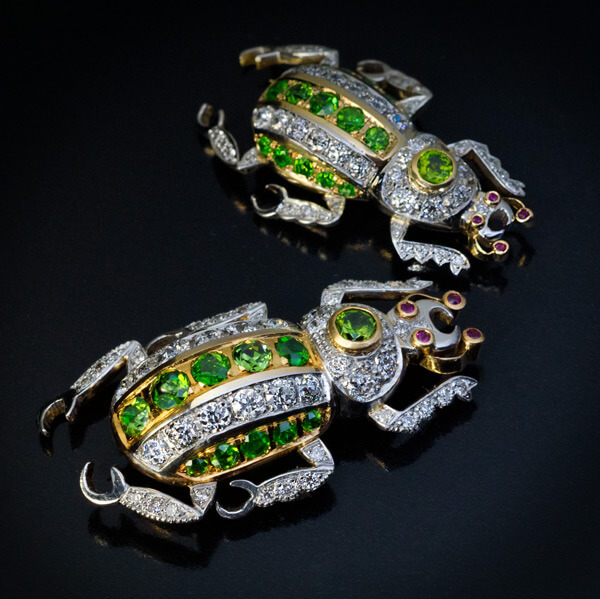 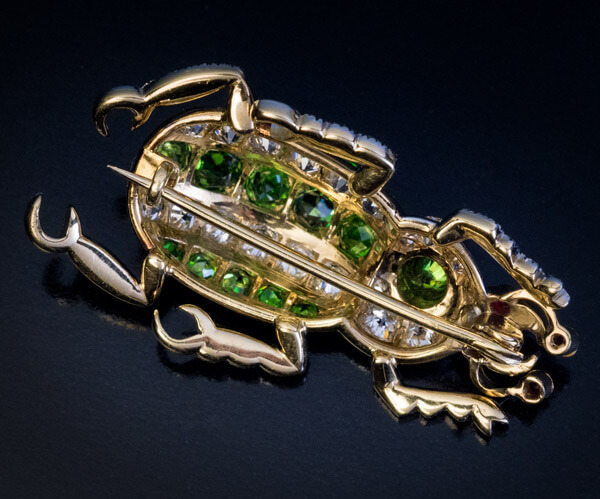 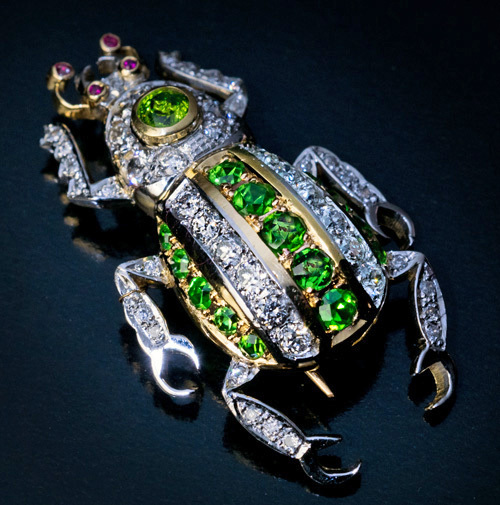 A vintage mid-century insect brooch / pin is finely modeled in platinum and 18K yellow gold and set with perfectly matched Russian Uralian demantoids, sparkling white old European cut diamonds (F-G color, VS-SI clarity) and natural rubies. 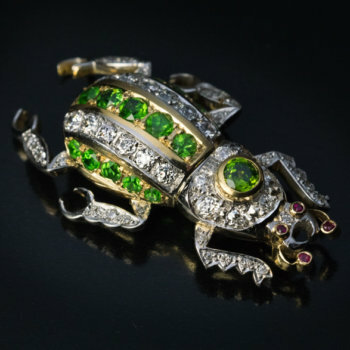 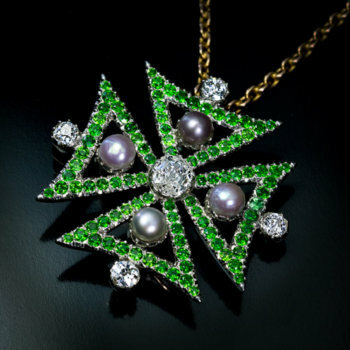 Estimated total demantoid weight is 1.80 ct. 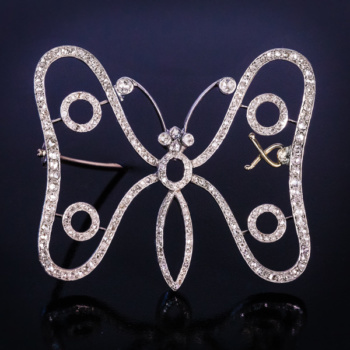 Approximate total diamond weight is 1.80 ct.